The 24th instalment of the ever-popular Victorian Christmas Market arrives at Kelham Island Museum for the first weekend of December. With over 120 different stalls selling everything from festive food to jewellery, it’s the perfect place to grab some unique stocking fillers, and this year’s event, illuminated by authentic Victorian gas lamps, will make you feel like you’re in the middle of a festive Dickens’ novel. The Music Hall will showcase a variety of brass bands and choirs providing merry tunes throughout the day. 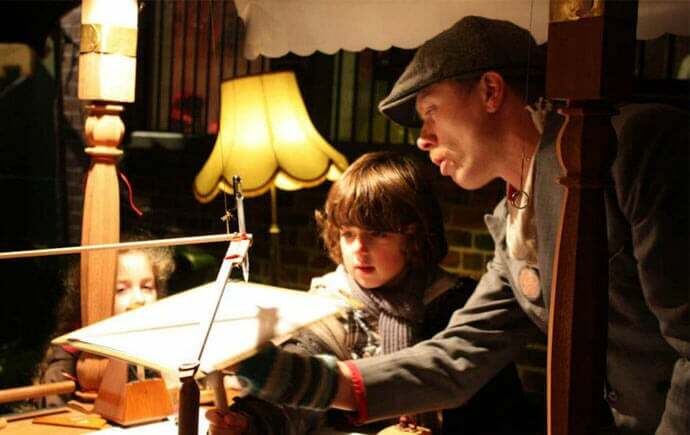 There will also be a vintage fairground featuring everything from flying chairs to hook-a-duck, as well as an array of local craftspeople from blacksmiths to potters and glassmakers to jewellers, all making and selling their fine wares. To really immerse you in the era, the market area will be brimming with various characters from the period, including a cheeky pickpocket or two, and a certain man in red will have his grotto set up with all of his elves and reindeer as he makes preparations for his big night shift at the end of the month. A truly unique event to really get you and the family into the Christmas spirit, tickets for adults are a mere £6 and accompanied kids (U16) get in for free! The market opens on Saturday 3rd December 10am-7pm and Sunday 4th December 10am-5pm. Head to www.simt.co.uk for more information.